"pclock" is the world's first GPS-linked astronomical clock application for BREW. 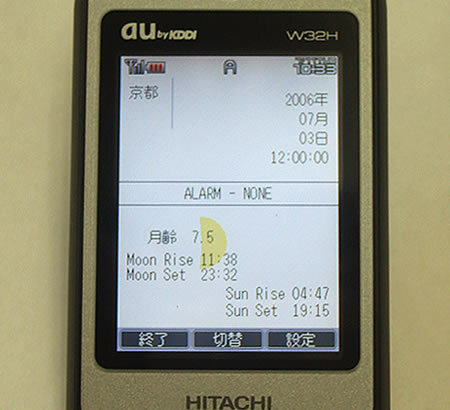 It uses BREW GPS functions, and performs complex astronomical calculations. pclock is a GPS-Linked world clock with astronomical functions. 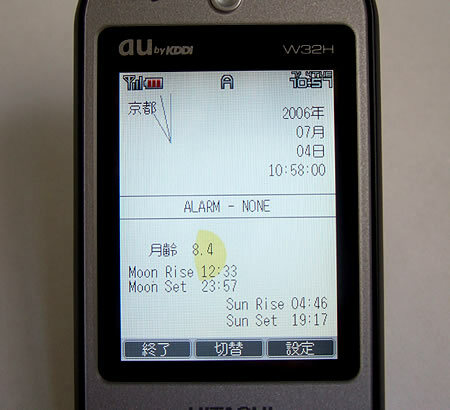 At default status, astronomical information is displayed in the bottom half of the screen. 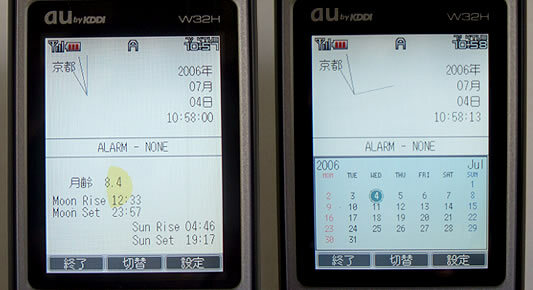 Push the center "choice" key to activate the calender. The cursor on the calendar moves when a "directional key" is pushed. 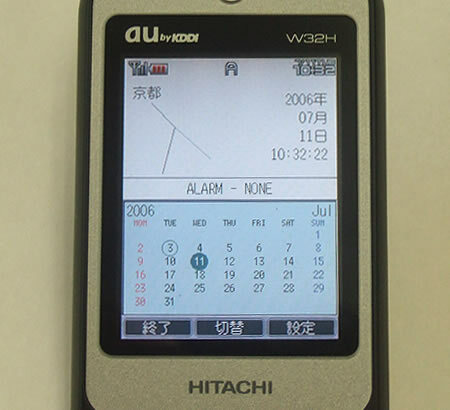 Move to another day and push the "choice" key, to view that day's astronomical information. Pushing any "number" key, or the "Clear" key will get the cursor back on the current day. Push "Soft key 3" to display the previous month, and "Soft key 4" to display the next month. 1. Go to the city selection menu and push "Soft key 1 ( addition )"
2. The GPS will get the Lat/Long and height data of the current position. 3. A new city is added when "Soft key 1 ( registration )" is pushed again. 1. Get back to the default screen. 2. Push "Soft key 2 ( setup )" choose "Set Alarm", then push the "Select key". 3. Use the dialog boxes to set the alarm, then push "Soft key 1" to register the alarm. If "pclock" is closed within 1 minute after alarm registration, the alarm will not be registered. 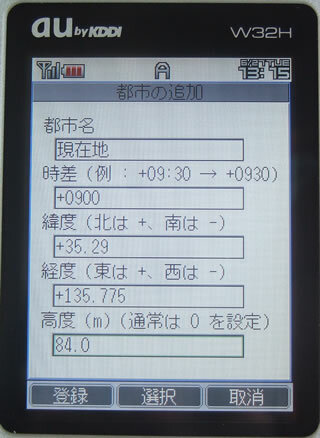 The astronomical information has approximately 1 minute of error. 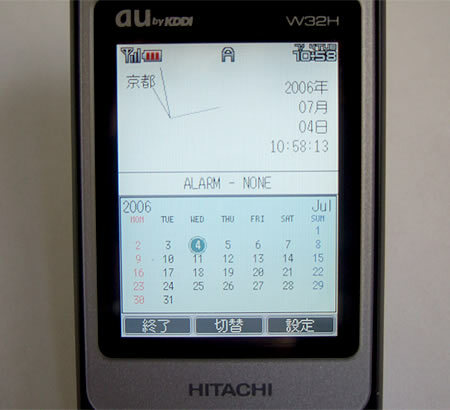 When running "pclock", put "alarm.qcp", "calendar_font.bar", "cityinfo.txt", "moon.bar", "pclock.bar" in the same folder as "pclock.mod"
Fonts used in the calendar and the clock are open source "M+ BITMAP FONTS" .